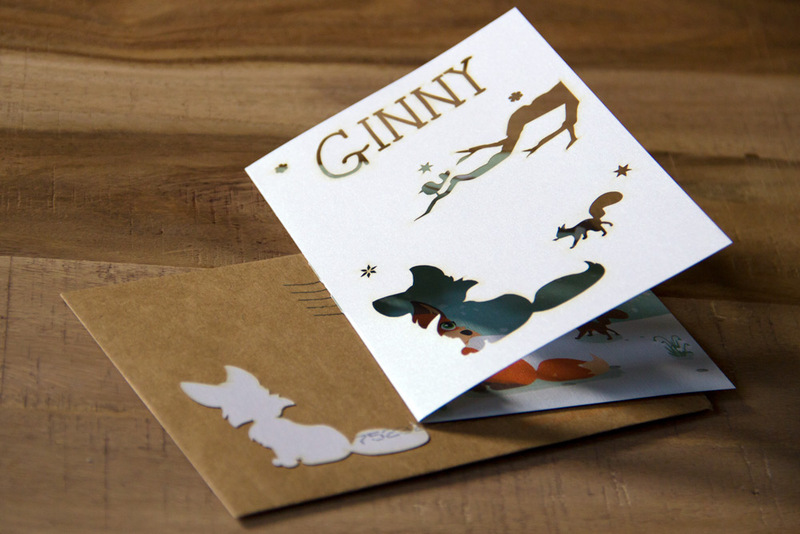 Lieven and Marlien asked me to illustrate the birth card for their, back then, yet to be born baby girl. Very exciting and fun assignment! 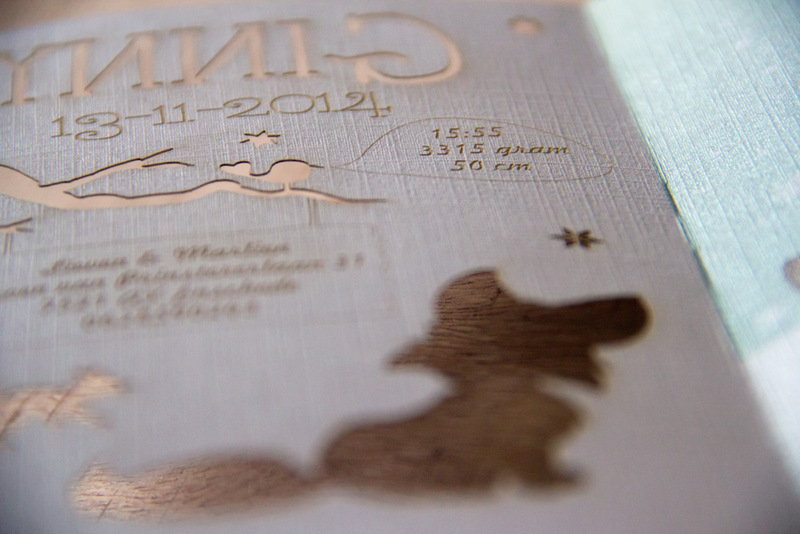 I didn’t have to design the back (or inside) of the card, since they wanted to experiment with engraving text into the card with a laser cutter. Lieven printed and engraved all of the cards himself! 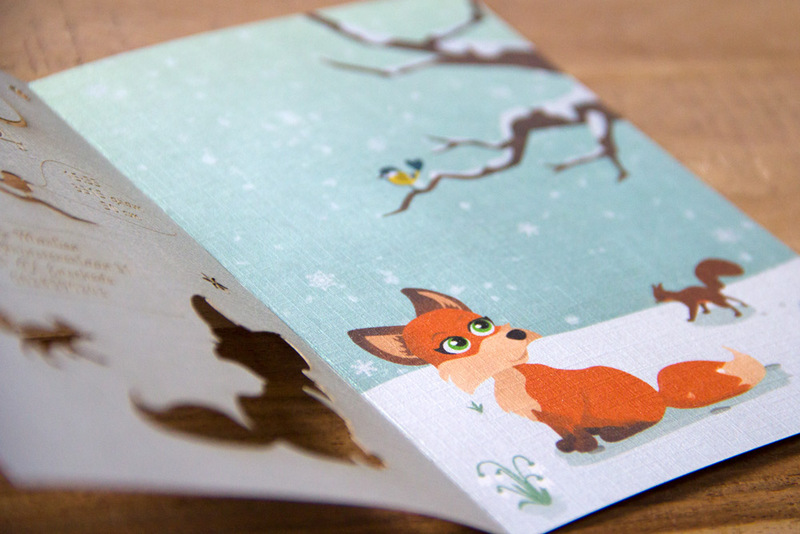 The final result of the card looks wonderful, and I love that they put the cut-out of the fox on the envelope. 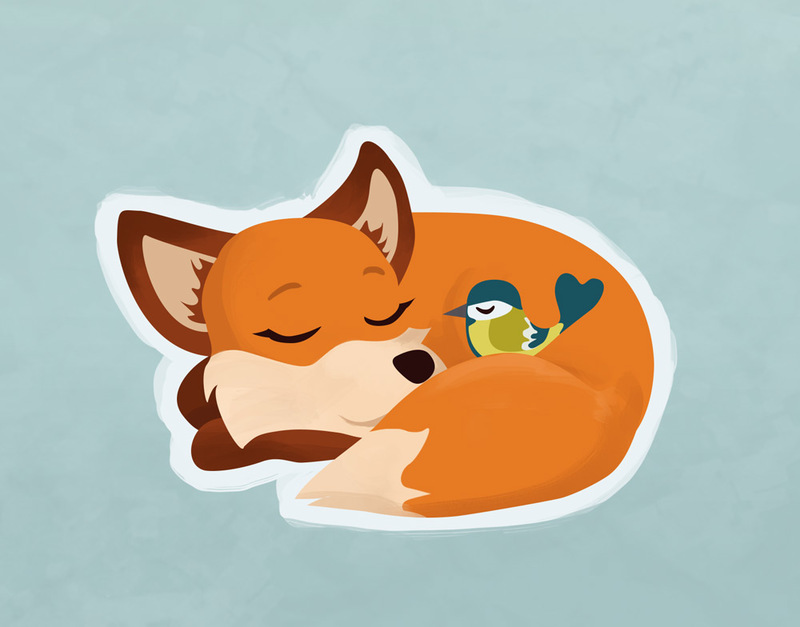 I also made another illustration of the fox, which could be used on the backside of the card. 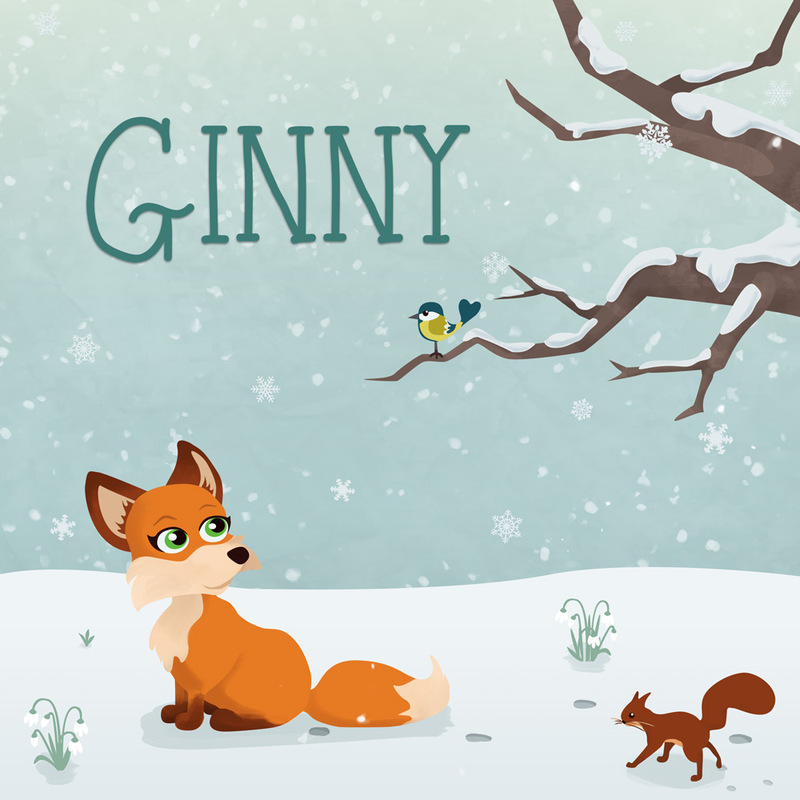 But Ginny was born a little earlier than expected, so there was no time to print it on all of the cards.